Another box from the old carpenter place. 20x40cm. Old chessboard and pieces and cuckoo clock. 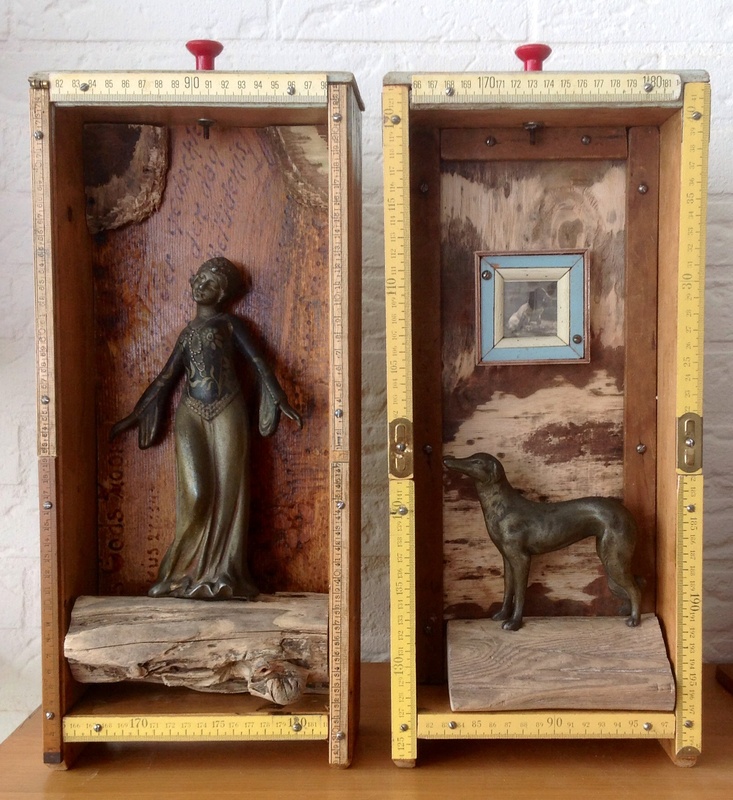 Old wooden box from fifties carpenter place, checkers, Pierrot from flea market, stone arms from An old puppet and football players from a table football game. 20x40cm. Because the dog and the lady stood together for years and were a part of an old art deco clock, I picture them together. They can be seen as brother and sister. The art deco lady is from the same broken clock I found in the streets of Leiden-The Netherlands. Placed on driftwood. Inlay of wood with phrases of cristianity. 20x40cm. Assemblage Willem I. Named after the dog Willem that became my friend. And I have the privilege to take him out occasionally. 20x40cm. 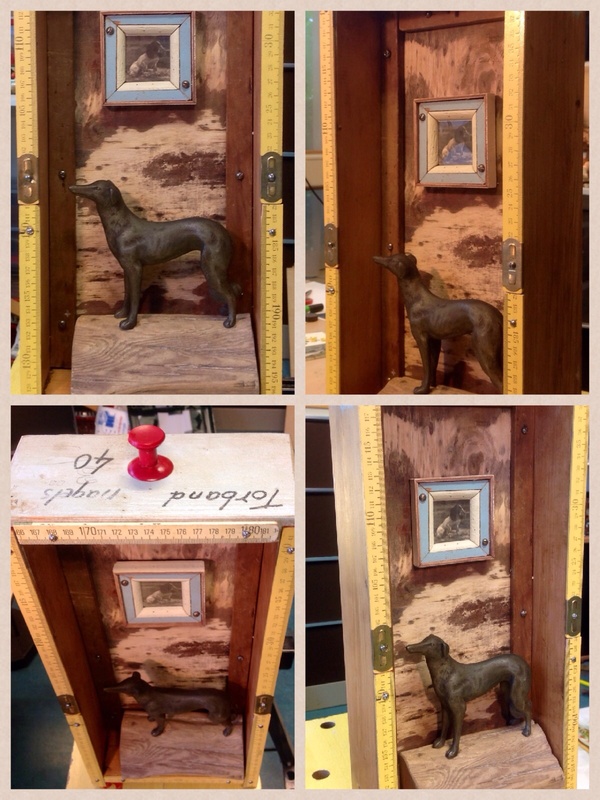 Driftwood, picture from flea market Guise-France and art deco dog found on the street as a part of a broken clock. 85x45cm. Sword from a boat, deer antler, checkers, driftwood, parts of a cuckoo clock, old leather and screws. 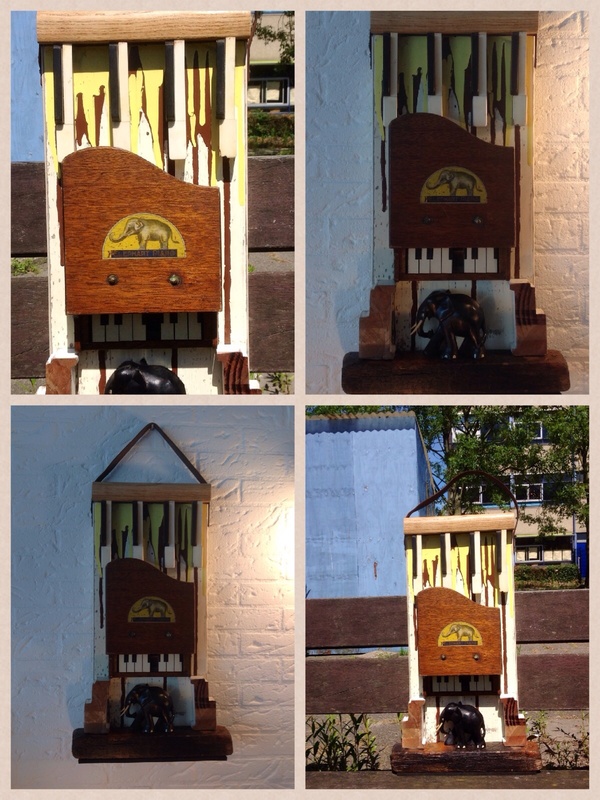 Four different pictures of the same assemblage (30x60cm). I find it hard to make good pictures of my work. Especially the assemblages with depth and shadows.